I’m planning to put together some short ‘problem solving’ reports for parents, that I’ll give away. What’s your biggest problem right now, as the parent of a young person with Asperger’s, you’d love solved? (Please include the age of your young person too, as that helps me to tailor solutions). Don’t know if you’ve heard of them? The Jam were a UK mod/punk band in the 80’s, singing about working class urban life in London. The vivid description of sensory assault (sirens, drills, wailing,) made me wonder . ..
Is life easier in the city or the country for people with Asperger’s? Probably no right answer . . . But on the flip side .. . But on the flip . . So which is the better environment for kids on the spectrum? Methinks this question really misses the mark. More important point is . .. Kids can survive (and thrive) in the urban jungle if parents are there. Supporting them every step of the way. Likewise the quiet country village. Parents may need to work harder to find opportunities. Go further for services and help. But doing this will give your child the best you can. You (the parent) are what matters most. Sure the outside world has a BIG (often harsh) role. Guiding . . . helping . .. loving . . . nurturing . .. every step of the way. And kudos to you for doing that. Through the hard times and the bad, you show up every day. But I know it can be very tough for you. So if you feel you need some help on this parenting journey then be sure to take a look at The Parenting Asperger’s Community. Been reading the biography of Clay Marzo. He’s a US professional surfer with Asperger’s. Amazing skills in the water. See things other surfers don’t . But out of water . . . different story. Real struggles in his school years. One interesting dynamic in the book is stepdad Gino. Gino thought Clay was just lazy. Simply not trying hard enough in school. So Gino had many arguments with Clay’s mom Jill. Jill viewed things differently. She instinctively knew something was ‘not quite right’ with Clay. So she pushed for tests, consults with professionals and the like. and for that reason, the way he approaches everything he does and his capabilities, are different in someways than our own, Just now accepting it”. Often the way it goes. One parents ‘gets’ what’s going on first. The other more reluctant to agree. Maybe even hostile to the idea of any ‘difference’. In my experience it’s mom who generally has that instinct first (not always the case, but more times than not). Those long hours of arguments and debates. Trying to convince the other parent to take it more seriously, or at least be open to the idea. Very hard work. Very time confusing. Very emotionally draining. It’s a tough gig alright. Co – Parenting Challenges . . .” helps you navigate a path, when the other parent doesn’t understand or believe that ASD is an issue. Had a reply to my burnt potato email last week. It was talking about how trauma affects the way you think. So the reply . . .
encounter) I still can see their face. Hazel is a self described un diagnosed adult aspie. She totally GOT this idea that difficult events affect your brain’s make up. And agrees they can build up over time. It’s a really tough reality to live with. The best way (I know of) to help this is talking. Can be to you the parent, a friend, therapist, counselor. (But a trained neutral therapist is probably best). That way these events can be unpicked, given meaning beyond the negative. So instead of just thinking “this happened because I am no good/hopeless/unskilled/socially inept”. A different slant: “Maybe this happened because the other person was just having a bad day”. “Maybe they didn’t really mean offence at all”. “Next time I can do x instead”. All things that a good therapist or counselor can help with. * Should you trust scientific research or other parents when choosing your child’s therapy? in your David V Goliath battle with the big, hostile insurance companies. really really hurts. Please don’t hug me if you don’t know me well and definitely do NOT hold or grab me. (Kai Rochester in ‘Like me as I am”). Kai is a (then teenage) young man with Asperger’s. His mom (Ajay) wrote a book of parenting tips and it’s packed with nuggets like this. For Kai hugging actually hurts. All about the brain wiring. It hooks up a little differently. To do with development of the synapses. * Light touch worse than heavy. * Stranger touch worse than familiar. * Unexpected touch worse than planned for. But as you know it causes a BIG problem . . .
Moms (… and dads… and grandparents) need hugs. A basic human instinct, which releases the feel good chemicals of oxytocin and serotonin. Over time I’m sure you’ve learned to cope with this. Probably following the ‘rules’ of hugging above. (Though we all know everyone is different so these are general and may not be specific to your child). It’s another of those challenges unique to parents of children with ASD. Those day to day things most parents don’t even know about. But you experience regularly. or college training that fits their strengths. 21) navigate into a community college and then transfer to a 4 year college. Now full disclaimer . . .
Other parents did chime in on this post. Some agreed and thought DRS was the best thing since sliced bread. Others found it to be not so helpful. I ‘suspect’ like most agencies; it comes down to the individual people you come across. But if you’re in the USA it’s certainly an option to look at (in the UK it would be the Disability Employment Advisor, at the Job Centre). So hope this was a tip of some value to you. the supermarket. What can we do to eliminate this behavior? Behavior serves a purpose and as long as it meets his needs of the child he will continue to display the behavior. The challenge is in finding out what purpose the behavior is serving. 2.) To make something go away. 4.) To meet sensory needs. Figuring out the reason for the behavior may take time, but is well worth it. in order to meet his needs. supermarket when it is quiet, or only for 10 minutes, or not at all. Your son is acting impulsively and he may not really know why. Talk to him about his behavior while it is not occurring and let him know that you want to help him through this. And I wanted to let you know that I had a number of people email me who missed out on the recent special offer to join us. So I’ve decided to briefly re-open the offer, to give them chance to catch up. So for the next 48 hours you can join us for a whole year for $97. That’s a discount of $142 over paying monthly. already – but if you have any questions do drop me a quick email). But this offers closes on Friday at midnight. PS – I did have more people than expected take up this 1 year offer. information and support you get inside the community). It all started with a baked potato . . . It all started with a baked potato . . . as all good stories do! A few weeks back I took my kids out to a fair. In the morning I was super organized. Putting some baked potatoes in the oven, for dinner later. “Oops I didn’t turn off the potatoes”. I left my mom in temporary charge of the kids whilst I drove rapidly home. Luckily the house was still intact when I got home. No smoke or fire. But the potatoes were a little ‘firm’! So no real harm done. Except . . . This event (which was a bit of internal trauma for about 30 minutes) has done something to my brain. EVERY time I leave the house know I am compelled to check. I check the heating is off, I check no lights are on, I check the oven is off, I check no taps are on. Often I do this several times. Again no big deal on the face of it. And to be honest I am sure I could ‘undo’ this mental wiring if I really tried. But I thought it was a good (if a tad trivial) illustration of the impact of negative life events on the brain. * You were verbally abused and ridiculed every day at school. * Every time you tried to answer a question in class people laughed. * More often than not you’d be physically pushed around and hit in the school yard. Just imagine how these regular negative and traumatic events would affect your whole being. Your brain would definitely be altered by these events. Likely you’d become more anxious . . . less trusting . . . low in mood . . . worried . . . paranoid and 101 other negative emotions. I’ve talked about it before … the TRAUMA of ASD. So many kids grow up with such negative life experiences it’s little wonder they struggle to adapt to the world around them. A world that’s rejected and hurt them so often. It’s often not about autism or ASD – it’s about life experiences. try), but the home is yours and their domain. It needs to be their place to escape to. To lick their wounds. To be built up and put back together again by their loving family. I’m sure you know this, and do this. But just a gentle reminder of the ongoing issues your child faces. (Applies just as much, maybe more so, to teens and adults too. They’ve been longer on this earth – and likely exposure to even more negative life events). Sorry it’s not an inspirational email today. But it’s a reality. And some times it’s important to talk about these things. 2 parts to this email. 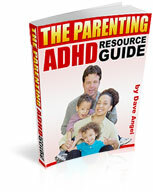 Part 1 is for people who missed out on the recent Parenting Asperger’s Community special offer. Part 2 is a parenting tip for all. Some people have asked if there is any way they can still get the recent Parenting Asperger’s Community special deal. They didn’t check email this weekend so missed out. Because it was so popular I am still sorting out the new members and getting them bedded in. and I’ll let you know when the window will open again (it will be for just 24-48 hrs). “School is such an emotional drain. So we do ‘3 bad 5 good’. Which is basically she tells me 3 bad things that happened so I can judge any situations that need my interference. Helps us to keep lines of communication open. Good way to get the conversational juices flowing. their day. But as you know the information isn’t always forthcoming. So tips like Diana’s are so helpful. Why not give it a try today – and please let me know what happens. Back to the normal tips again! Back to the normal daily tips today. I hope you enjoyed The Good Doctor emails (the special offer deal has now ended too). The North Wind and the Sun argued over who was most powerful. The first to strip a man, in the street, of his clothes would be the winner. The North Wind blew with all his might. The more he blew, the closer the man wrapped his cloak around him. Frustrated; the wind called on the sun “see what you can do”. The sun shone its warmth. As soon as the man felt the gentle, warm rays he took off one garment after another. Undressed totally and bathed in a nearby stream. * Want to influence your child’s behaviors? Shouting, insisting and gesticulating wildly generally won’t do it. Incentives, rewards charts, goals, motivations (and occasional shameless bribes!) much better chance. and accurate arguments BEFORE you go in. Rational persuasion gives you the best chance possible. can monitor and support this process.